Support Your Legs With Style! There's no reason support can't be fun! 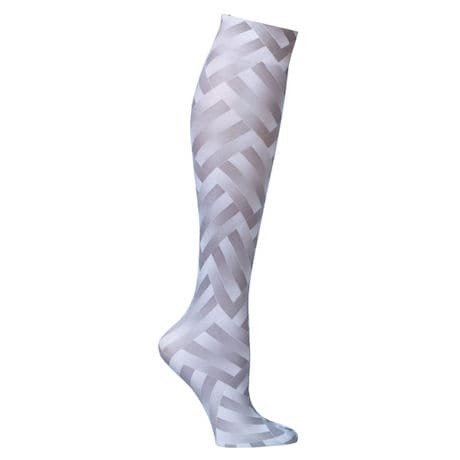 Printed Compression Knee Highs are stylish relief for tired, achy legs. Mild graduated compression is perfect for everyday wear to alleviate swelling and fatigue while improving circulation. Nylon/spandex blend. Machine wash/dry. 8-15 mmHg. One size fits most shoe sizes and up to 24" calf. USA.